More than 20 years ago, Nespresso developed and patented an exclusive system for mastering the preparation of the perfect espresso, from the selection of the finest green coffee beans through to the moment of tasting. The perfect espresso is a complex alchemy between coffee of exceptional quality and freshness, and water at high pressure. It is these elements which give the coffee body and intensity, and reveal all the subtleties of the aroma. Coffee, machine and the club are the inseparable components of the exclusive Nespresso experience, which allows you to prepare a perfect espresso, cup after cup, time after time, in the comfort of your own home. 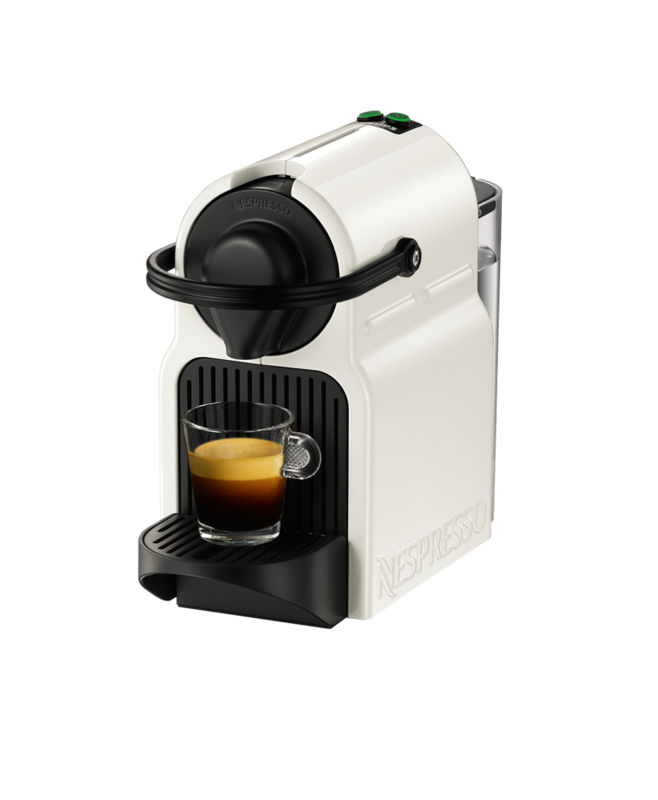 The Nespresso inissia by KRUPS allows automatic and programmable water sizing and has an ultra fast heat up time: enjoy your perfect espresso in under 30 seconds! The Inissia is energy friendly with an automatic shut off and features an adjustable drip tray for different size cups and container for used capsules. The 0.7L water tank is removable for easy refilling and the stylish white coloured finish and compact design will complement any kitchen. 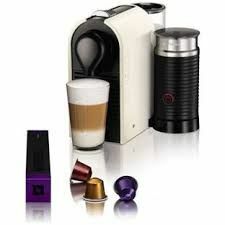 Included with this machine you will receive a complimentary tasting pack of Nespresso Grand Crus capsules.